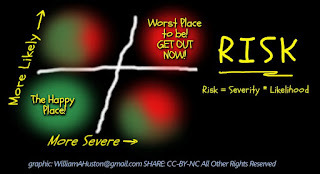 Risk = Likelihood * Severity. 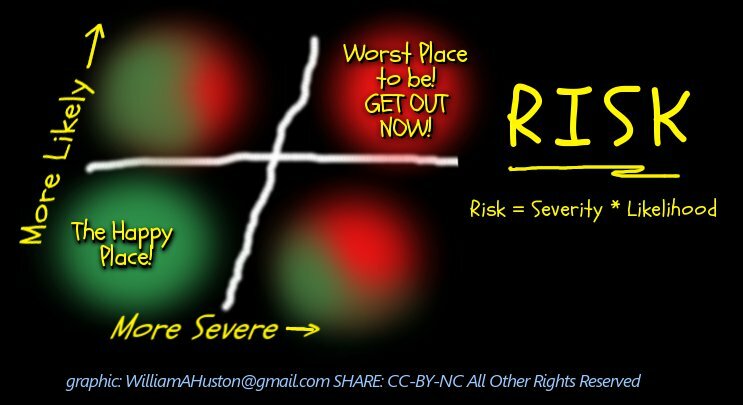 What we casually call "Safe Space" is where there is very low likelihood of even minor severity impacts. 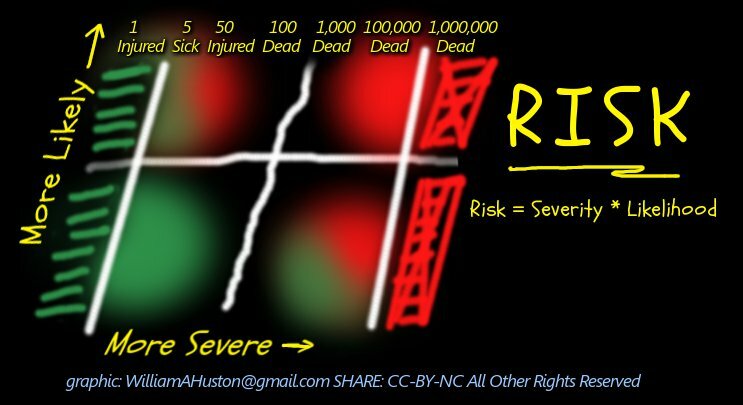 Now, Imagine Severity as a Logrithmic scale, from a point called "1 Minor Injury" to a point labeled "1 Million Dead"
We can imagine that as the Severity approaches the extremes, then Likelyhood becomes much less important. Look at at a "safe &* sane" firecracker. Very little black powder. 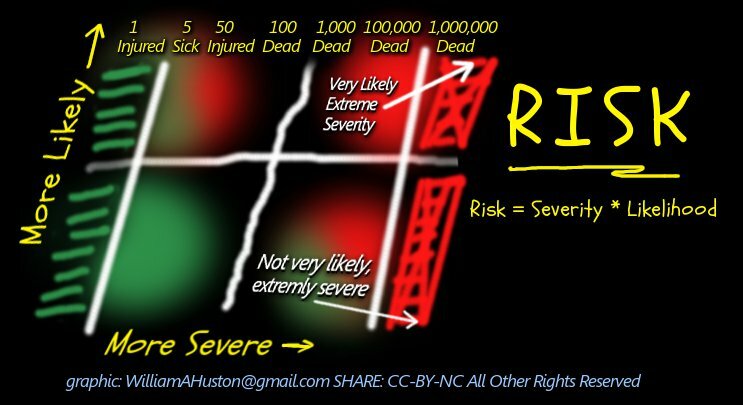 With the chance of nothing more than minor injuries, you almost don't care about if the risk is "very likely". You put on a band-ade and a week later you're all better: Big deal! Even young children play with firecrackers. 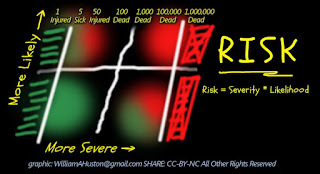 But let us look at another case where the Severity is 5,000,000 people dead or injured. Again, the likelihood begins not to matter. What happens if your scientists say, "It is not very likely", yet they made a math error? Do you want to risk it? 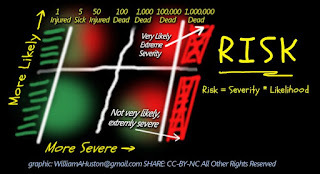 The Precautionary Principle comes in handy comes in handy in cases where there is Extremely Severe Risk. It is a scientific principle which basically says, DO NOT, by ether your actions, or neglect, allow a catastrophe to happen. Do not create those circumstances. And if you see those circumstances exist, then you should act swiftly to diffuse the damn thing.